When you just want to buy some Replacement Windows Glendale from a trustworthy source, look into the stock that is available from Intex Windows & Doors. You are not going to regret making the decision to shop from this reliable distributor of all things doors and windows, including the hardware pieces that go with them. Put Intex to the test by calling and speaking to a customer service associate, who can answer any of the questions that you have and put your concerns to rest. We want you to be fully comfortable with your decisions to place an order with us, so we can talk you through the process of shopping from the online catalog that is quite easy to navigate. We also will help you to know if you will need to have a permit to have replacements put in, as well as how you can go about applying for one. Since we have been working in this business for more than a decade, we can assist you with this to save you the hassle of having to do so all on your own. You should have peace of mind when you buy from a professional company, and with the policies and great customer service we have in place, you are sure to be at ease. We truly care about each and every one of the customers who seek out help from us, even those who do end up going elsewhere. Take your time as you shop from the collection of doors and windows from reputable brands such as Jeld Wen and Milgard, along with commercial door frames from Timely and storefront glass from PRL Glass. We work hard to bring you only the best in these products, and it really shows from the many testimonials that are on our site and elsewhere on the Internet. If you want to know more about how we treat our customers, be sure to view the reviews and talk to people you know – someone likely has purchased from us in the past. Do you want to see about buying Milgard Essence Wood Windows that greatly will improve the appearance of your house, as well as granting you superior functionality? This is where Intex Windows & Doors steps in. Look around at the selection of attractive windows that have a beautiful wood grain and finish to accentuate your home. You will be pleased, and you should be prepared to receive a great deal of compliments from neighbors and friends. We hope that you will look through the different series of Milgard windows carefully to determine which of them would fit your needs the best. If none of the window fixtures we have in our catalog seem right, you are completely welcome to talk to our specialists about having something custom designed. Learn what the specifications are for your space, or you can tell the representative what you are dreaming up. It is really that simple to work with Intex professionals to plan out something amazing that you will cherish for a long time to come. Though our products all are durable, you will be happy to know that we offer a full lifetime warranty that covers any damages that occur while the fixtures are in transit, as well as any problems that develop for which you are not at fault. We realize that issues do arise, and we want to make sure that you can find a solution quickly that you will be satisfied with, whether that is an exchange or refund. For all of your Replacement Windows Glendale needs and more, contact Intex right away. Do you need to get Replacement Windows Glendale in a hurry? If that's true, you have plenty of options when you shop from Intex Windows & Doors to make it well worth it to give us a try. There are so many different types of doors, windows, and hardware that you are sure to be a bit overwhelmed with making a choice, but our knowledgeable staff is available to assist you with any questions that you may have. You just need to be fully aware of the regulations that are in place in your area. In Glendale and some of the surrounding towns and cities, it is necessary to have a permit before you can begin any installation of replacement fixtures. This is especially the case if they can be seen from the street. We can tell you what you need to do and help you with these steps in order to comply with the sometimes strict guidelines. That is one of the many benefits that you can enjoy from dealing with Intex. We absolutely love giving superior customer service, which we have developed over the last decade. We now can anticipate our customers' every need, as you can see by reading what our past customers have to say about us on the testimonials section. Even though we are a family-owned and operated business, we have a large base of customers around the greater Glendale area who we serve. 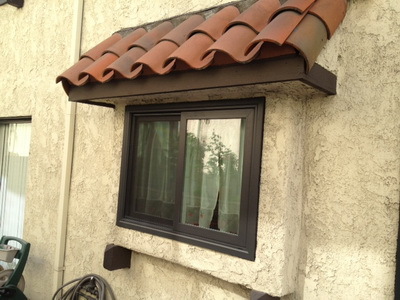 It's crucial that the Replacement Windows West Hollywood that you get match the ones you are replacing, or they at least complement the style of your property. If you need any help finding out what will be ideal for your specific commercial or residential building, There are many reasons to choose Intex as a distribution company for your new construction project or remodeling. You can opt for energy efficient products, as well as Milgard series fixtures that include sound control windows and those that have a slim frame and clean lines, among other styles. If you decide that you want to order energy efficient windows, you should know that they meet the strict standards of ENERGY STAR. They are attractive and durable, so you can enjoy your windows for many years without worry that they will face damage easily. If anything happens for which you are not at fault, you can take advantage of the full lifetime warranty that is in place. This will cover you and make is possible not to lose out on money or experience the headaches that come with this issue. Replacement Windows Glendale are excellent quality, put together by some of the leading brand names around such as Fleetwood and Jeld-Wen. Once you get them you will have many of your neighbors and guests give you compliments about the beauty of these fixtures. Intex will have a local technician visit your home or place of business for installation, so that you do not have to complete it yourself or arrange for someone to come and do the task. We cover all of the bases and work hard so you can have as little interruption from your busy life or business as possible. It's exciting to shop when you can navigate the catalog with ease, as you can on our site. Take care to determine what you want early on, so that you can look over the various categories and find what you need quickly. It's not every day that you are able to have the convenience and luxury of a streamlined process and a large number of choices. There's no need to be stressed during this time. If you want to know how much you can expect, you can ask for a free quote from our professionals by submitting a form. Contact Intex today to begin this process and you will not regret it. Intex Windows & Doors is one of the most dependable dealers of Replacement Windows Glendale that you will find around the Los Angeles area. We can assure you that any of the windows or doors that you purchase from our company will be of the highest quality and designed to your specifications. We sell Milgard products in various Series, which each of them including different materials and style in general. Peruse our easy to navigate website and order what you need after you consult with one of our specialists. It is definitely in your best interest to talk to someone and give us exact details so that we can make your vision into a reality. All of the doors and windows which we sell are built to be energy efficient. You never need to worry that you will have to seal up any cracks after awhile, because each of our products is extremely long-lasting. Anyone who wants Windows In Glendale should look no further than Intex, as we have superior customer service and will take care of the whole process after you order. Even if you need Store Front Windows Installation, we can assist you. You always can expect a job well done that is also quick. In fact, we have been a leader in this industry since we began in 2004. 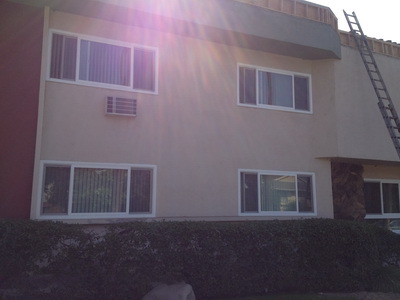 Will you require Replacement Windows West Hollywood for your house? Maybe you need something installed in your commercial property. Regardless of the type of project, you can submit a request for a free quote for the job. You will hear back from us quickly, and we are sure that you are going to appreciate our prices. Intex will send a local expert to your home to install your new doors or windows, if this is necessary. Get ahold of us right away to start this process.